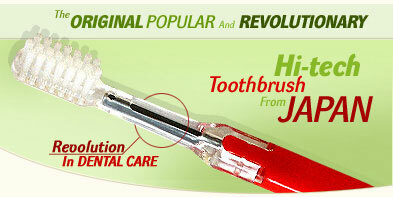 A Revolution in Dental Care! Soladey was invented in Japan by Dr. Yoshinori Nakagawa. The name originates from the words 'Solar' and 'Dental'. Dr Nakagawa knew that negative ions could be generated from titanium when this metal was exposed to light and water. As with other industrial applications such as water purification and air filtration, ionic power is not a recent discovery. It looks like an ordinary toothbrush, but closer examination reveals a rod that runs through the replaceable bristle head and into the handle.This metal rod is the secret to Soladey-Eco. It is made of a patented semiconductor material that when activated by light produces electrons that help remove dental plaque. Bacteria in plaque attack food, producing acid. This acid causes bad breath, tooth decay, and gum disease. Normally, saliva neutralizes this action. But when plaque builds up, it acts as a barrier, preventing the neutralizing action of the saliva. According to clinical studies (see menu bar at left), the Soladey can stop this plaque buildup. Working with saliva, the brush controls and reduces the bacteria responsible for plaque. REDUCES CAVITIES - actually reduces bacteria that cause cavities and stops bleeding gums by the natural cleansing action of safe, free electrons emitted from the revolutionary solar conducting rod. Soladey at a comparable cost of a regular toothbrush. The acid is then neutralized and plaque is disintegrated - a scientific approach to a cleaner and healthier mouth! Toothpaste is not required as water (saliva) is the acting ingredient - oral hygiene now becomes not only natural, but also economical! For those who find it hard to give up toothpaste, use only very small amount! For the front teeth, the toothbrush is leaned aslant (45 degrees) and the ridgeline portion of the fascicles of the brush are firmly applied to the boundary line of the tooth and the gum. Following the lines of the gum, while counting to ten, the brush is moved to the right and left. For the molars also, follow the same way of applying the toothbrush as for the front teeth, moving and polishing the outside and inside surfaces of the teeth (each place is brushed while counting to ten). The tip of the toothbrush should be applied carefully to the outside of the back teeth. The back side of the front teeth is brushed with the heel of the toothbrush. In order to remove food particles from between the teeth, use the hair ends of the toothbrush. Brush the upper teeth down from the bottom to the top; brush the lower teeth upwards, from the bottom to the top. 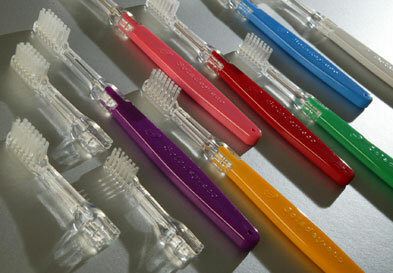 When the alignment of the teeth is uneven, brush the teeth one by one using the hair ends of the toothbrush. At the last, the surface of the tongue should be brushed. This is especially effective for bad breath. After wetting the bristles and semiconductor with water (saliva is sufficient outdoors - *see note below) brush all surfaces of your tongue without using toothpaste, and especially first thing in the morning after stomach acids have accumulated from sleeping. Brush from the back of tongue (not in the throat!) to the tip of the tongue. You may see discolouration on the bristles (concentrated bacteria and accumulation of acids), and so make sure you rinse bristles with water repeatedly to remove this film. Once you feel the bristles and tongue are adequately clean then you can work on the tooth surfaces as now there will be less concentration of bacteria in your mouth. Bear in mind that the tongue generally carries most of the mouth's bacteria! continue to brush your teeth lightly and thoroughly in the same way as with an ordinary toothbrush. Concentrate on contacting the teeth rather than applying force.This is reason we recommend a MEDIUM head. Unlike a conventional toothbrush, you do not need to brush with force, and so a medium head will penetrate the spaces in between your teeth more efficiently than a soft head and without splaying. Brushing lightly will also be easier on your gums and help fight gingivitis (gum disease/ receding gums). *Note: Saliva is sufficient for brushing teeth outdoors, but in this case we don't recommend you brush your tongue outdoors without a source of running water available to clean the bristles. Make certain there is an adequate light source (natural or artificial) necessary to activate the semiconductor. If you are brushing the back teeth surfaces the rod will receive limited direct light. If you close your mouth over the rod then the lack of light will not allow the ionic action to occur. Be aware then that when brushing the back teeth that the light should reach the rod. Open your mouth as wide as possible so that the available light may reach your back teeth. The best option is to move close to a direct light source which will illuminate the inside of your mouth! The brighter the source the better the result. You will notice that your saliva will foam slightly when the toothbrush is working effectively. If you are using toothpaste use very little as this can foam over the rod and block light from reaching it. Make sure you clean the rod after each use. If you live in an area of hard water then carefully remove the handle from the head and clean the rod with bristles (your old toothbrush or a used head). 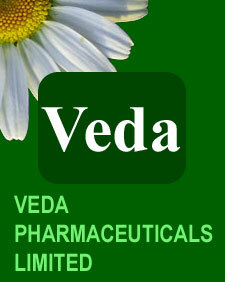 We recommend a natural mouthwash to replace toothpaste and to freshen your breath. A few drops of NATURAL MINT OIL or even OREGANO OIL also works well. Remember not to throw the handle and rod away! SAFETY: Make sure you keep the brush head attached to the handle and rod at all times except during replacement. Never leave the toothbrush or bare handle and rod near young children or infants! To keep your Soladey toothbrush operating at maximum efficiency, replace the brush head regularly, as often as you would replace a standard toothbrush. We recommend replacement every 2 to 3 months or when the bristles start to curve outwards. The figure right illustrates the proper method of replacing the brush. Detachment: Pull the head and handle apart along the axis. Insertion: Insert the head into the handle firmly. DO NOT twist and/or bend the head and handle during detachment and insertion. After use, completely rinse toothpaste that may have adhered to the clear plastic neck of the brush head or the semiconductor. Do not separate the brush from the handle except for the purpose of replacement. Never put the semiconductor in the mouth without the brush head. If the semiconductor should become detached, reinsert it into its hole in the handle. The bacterial population in your mouth has direct impact on your bodys health, the same way that your intestinal flora can influence your general health. With todays diet it is a challenge to maintain balance. Soladey helps to fight and neutralize the acids that cause bad breath and tooth decay, and the effects can be felt long after you finish brushing! Drink plenty of water daily to cleanse and assist all bodily functions. Avoid sugars and highly concentrated foods and drinks. A rule of thumb is to seek high water content foods. Q: What is the life of the semiconductor? A: With proper use, almost indefinitely. Q: Is the semiconductor safe? A: Titanium dioxide, the metal from which the rod is made, does not dissolve or corrrode in water, so it is perfectly safe. Q: Will teeth become yellow if toothpaste is not used? A: Reflecting the dentin color, healthy teeth are naturally off-white in color. 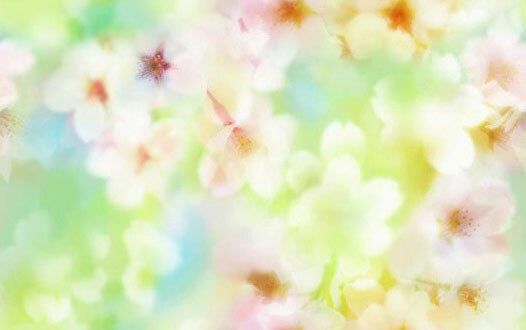 Brushing only with water restores their original color. If you must use toothpaste, only a very small amount is recommended. Q: Is there any proof of the effectiveness of the Soladey? A: Clinical literature is available from dental colleges in Japan and Canada. According to studies, toothbrushes with semiconductors have proven to be as effective as plaque removing tools. Q: Can Soladey be used to clean teeth that are not original such as porcelain-fused metal crowns? A: Yes, Soladey will effectively reduce plaque and provide an anti-bacterial effect even on modified teeth. Q: Can Soladey be used with braces or a retainer? A: Soladey will help neutralise bacteria for those using braces. Brush carefully to avoid damaging the materials on the braces. Remove retainers prior to brushing and make sure the retainers have been cleaned before replacing them in the mouth. Soladey toothbrush comes with a handle and brush head already fixed for $39.99 inc GST. Replacement heads have 4 brush heads packed together for $39.99 Inc GST.